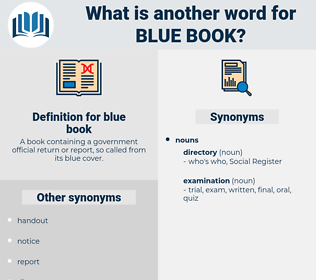 What is another word for blue book? 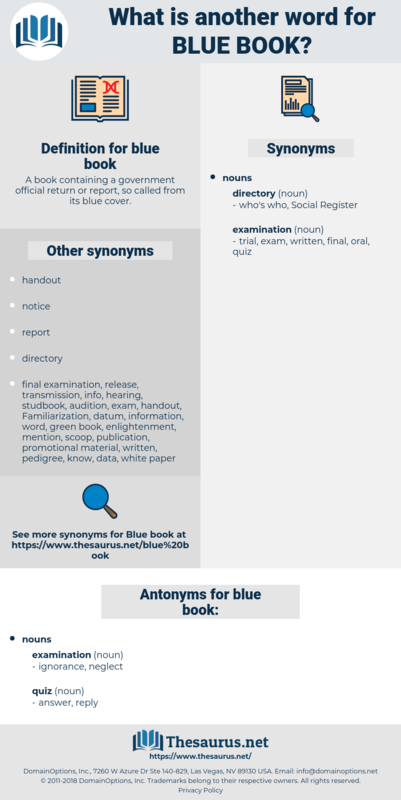 A book containing a government official return or report, so called from its blue cover. folder, brochure, directory, report, pamphlet, leaflet, study, written report, booklet.